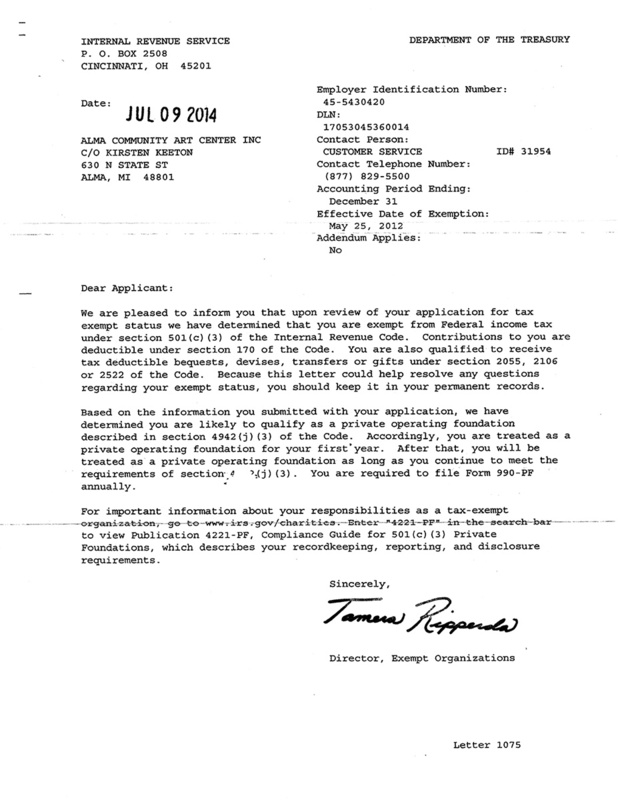 As a 501(c)3 tax-exempt organization, the Alma Community Art Center is obligated (and proud!) to disclose our financial status. As part of that requirement, we have made our letter from the IRS regarding our tax-exempt status available for view here. As additional documentation becomes available, we will post it on this page.